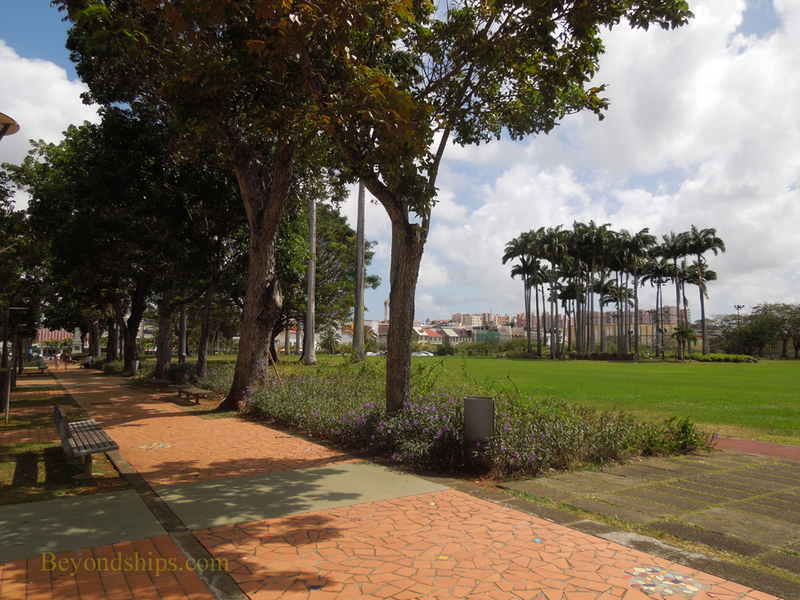 Most of the attractions in Fort de France are grouped around Place de la Savane (Savannah Park), a sizable park and green space in the center of Fort de France. A pleasant seaside promenade (Promenade du Front de Mer) connects the park to the Point Simon Terminal Croisteeres. Le Savane has palm trees, statues and memorials. In addition, along the Ruse de Liberte on the northwest side of the park, there is a line of kiosks that sell local foods, crafts and souvenirs. There is also a tourist information office. Across the street is the Bibliotheque Schoelcher (Schoelcher Library). This ornate building was created for the Paris Exposition of 1789 and when that worlds fair ended, it was shipped in pieces to Martinique where it was reassembled. 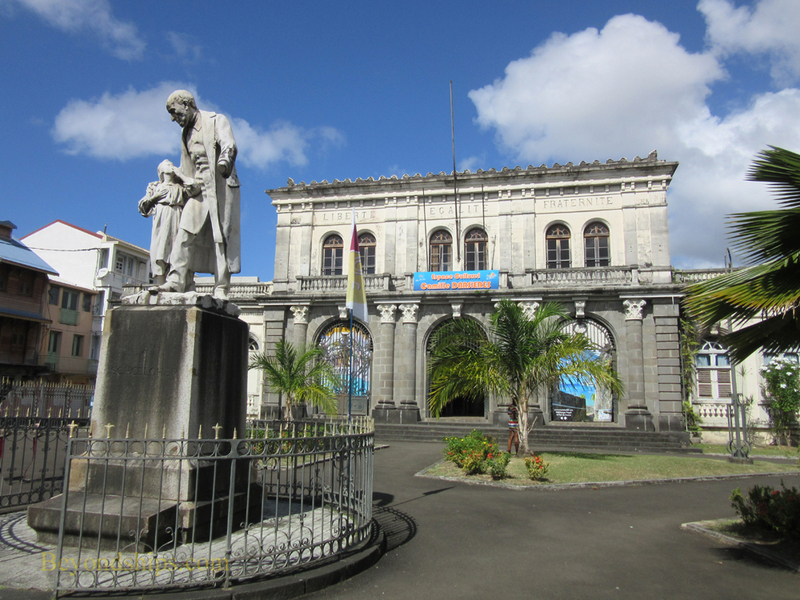 It is named after Victor Schoelcher, an abolistionist, who played a prominent role in ending slavery in Martinique. 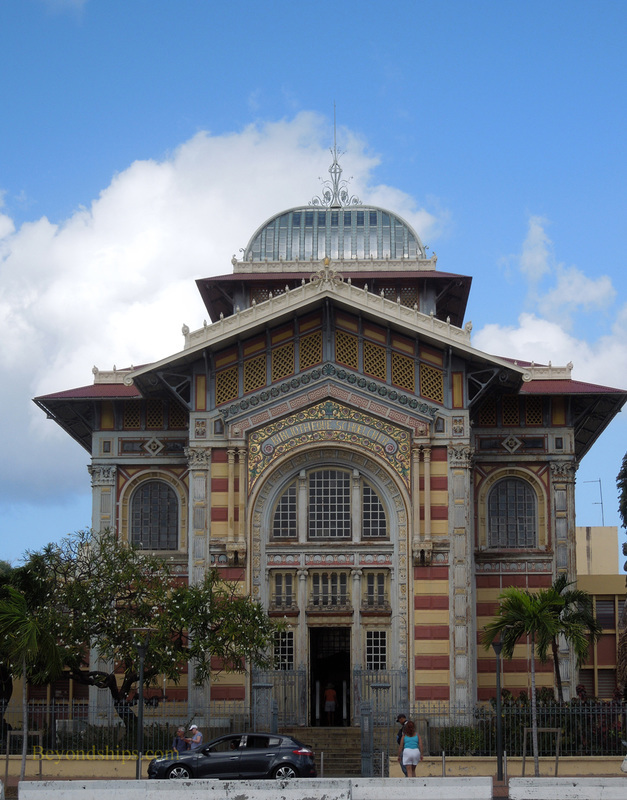 In 1883, he donated his private library of some 10,000 books and 250 musical scores to the General Council of Martinique with the proviso that a public library be built to house the collection. That collection formed the nucleus for today's collection, which specializes in works about Martinique, its environment and the Caribbean. The Library is open to visitors. 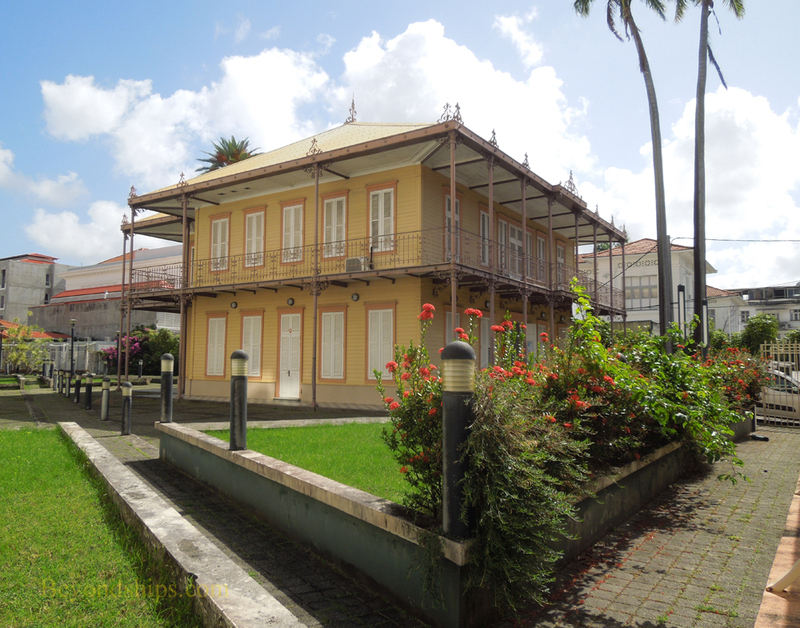 Nearby is the Pavilion Bougenot, a colonial style building that was once the home of Emile Bougenot, an engineer and owner of a sugar factory. Since 2004, it has acted as an annex for the Schoelcher Library. 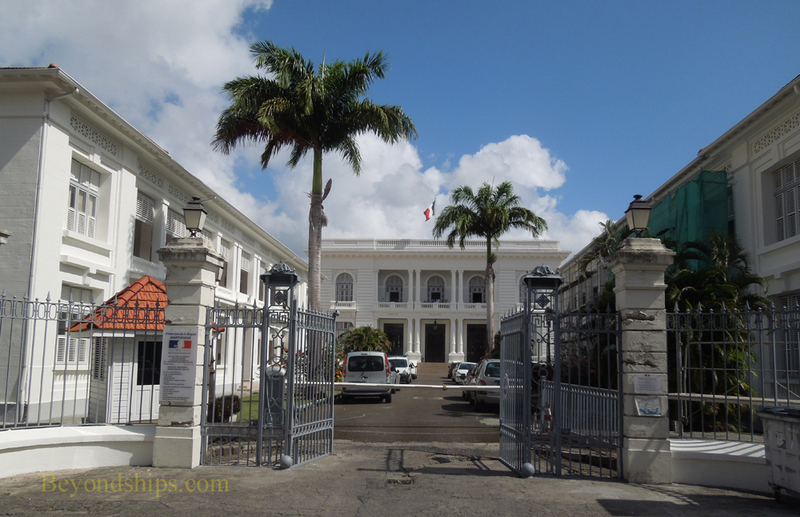 Also in this vicinity is the Prefecture Government House with the offices of the island's local government. Built in the early 20th century, it was inspired by buildings at the Palace of Versailles. Down the Rue de Liberte towards the sea is the Musee d'Archeologie Precolumbian et de Prehistorie (Museum of Precolumbian Archeology and Prehistory). 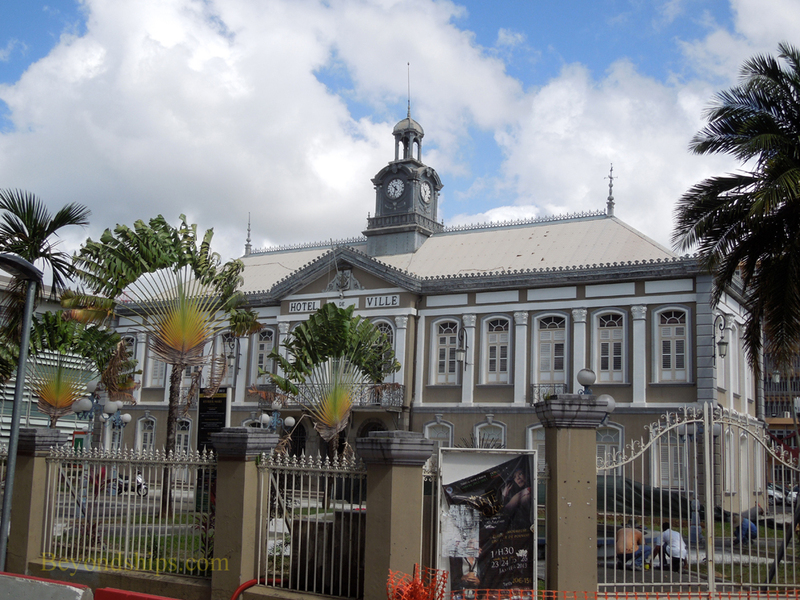 As the name indicates, this museum's is to further knowledge of the inhabitants of Martinique prior to the European colonization. Its collections include some 2,000 artifacts encompassing ceramics, stone and shell items, bones and some jewelery. The museum is housed in a former military building completed in 1893. 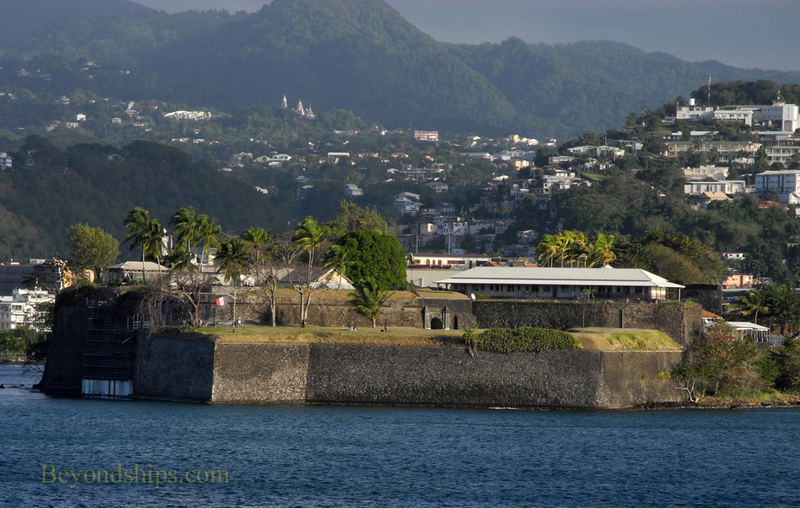 Fort de France's most visually prominent site is Fort St. Louis, which is on a peninsular on the southeastern side of the park. Originally called Fort Royal, it dates back more than 300 years. Its sheer stone walls tower above the surrounding land and sea. Guided tours of the fort can be arranged through the tourism office. Traveling one block up from the Rue de Liberte is the Ruse de Victor Schoelcher. 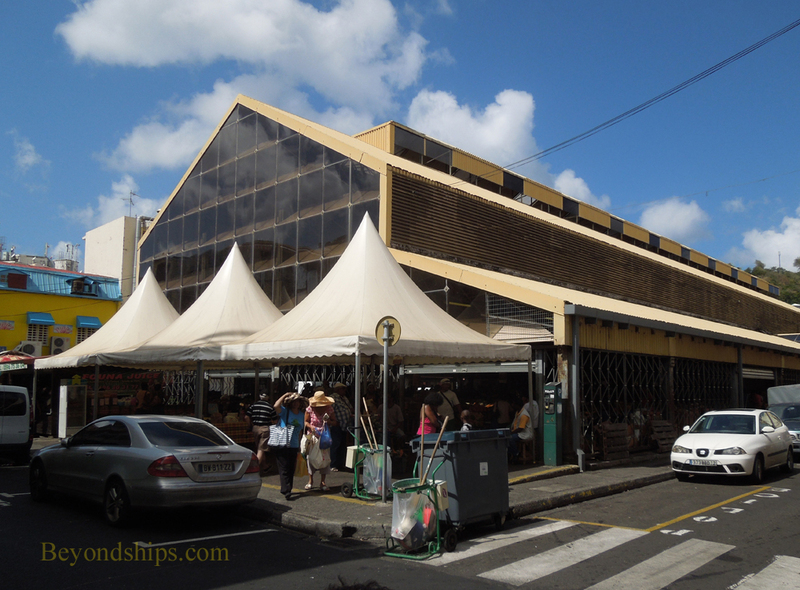 This is known as Fort de France's premier shopping street. At its intersection with Rue Blenac is the Saint-Louis Cathedral (Cathedrale Saint-Louis). There has been a Roman Catholic church on this site since 1657. However, natural disasters including fires, hurricanes, earthquakes and volcanic activity resulted in the destruction of the first six churches built here. The current structure was completed in 1897 with an iron skeleton to avoid such catastrophes. It was designed by Henri Picq who was a disciple of the famous Gustave Eiffel. The design combines elements of the Neo-Gothic and Neo-Romanesque styles. The steeple rises 187 feet and on its sides are massive flying buttresses. 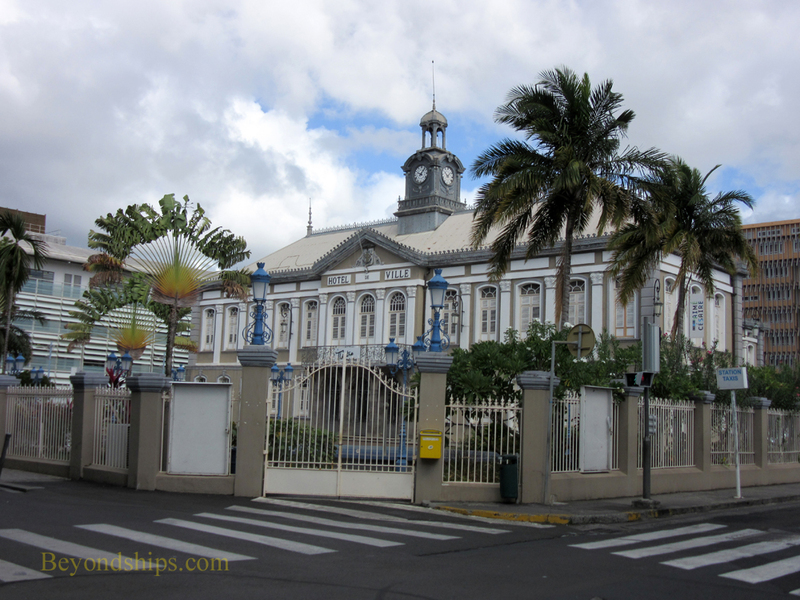 Another building that has overcome natural disasters is the Old City Hall on Rue de la Republique. Designed in the Neo-Classical style, the building was begun in 1884 but due to a devastating fire and a hurricane it was not completed until 1901. In addition to housing the city government, the building included the municipal theater, which was known for its acoustics. When the building became too small for government use, it was turned into a combination museum and theater. 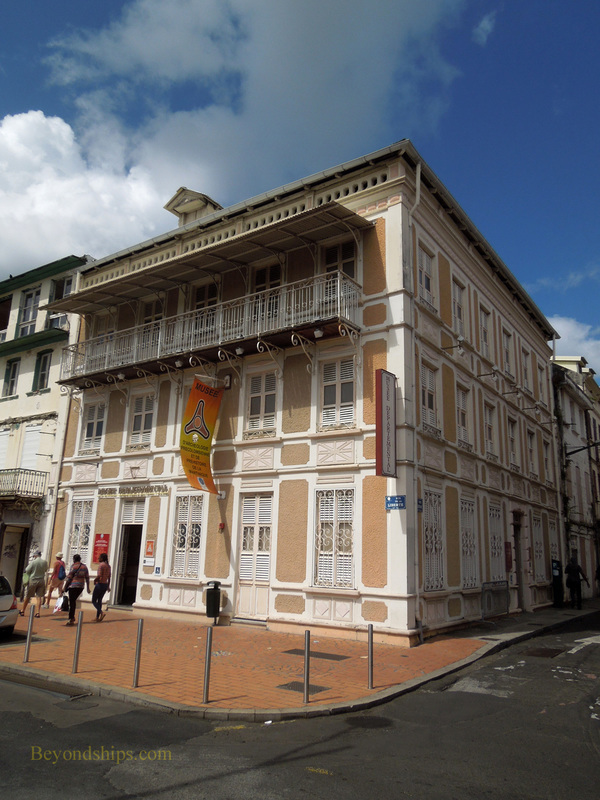 In 2009, it was re-named the Aime Cesaire Theater in memory of a long-serving mayor of Fort de France. Going further north to Rue Sambert, you come to the Marche Couvert (covered market). This is the local food market and provides a glimpse of local culture. ​Above: Musee d'Archeologie Precolumbian et de Prehistorie.